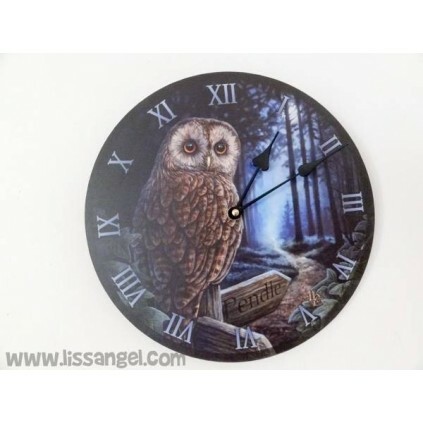 At a crossroads of a mysterious dark forest, a majestic owl perches on an old wooden post, while looking around ... That's what we can see on this wall clock design, inspired by a pretty owl with a landscape equally beautiful and mysterious. 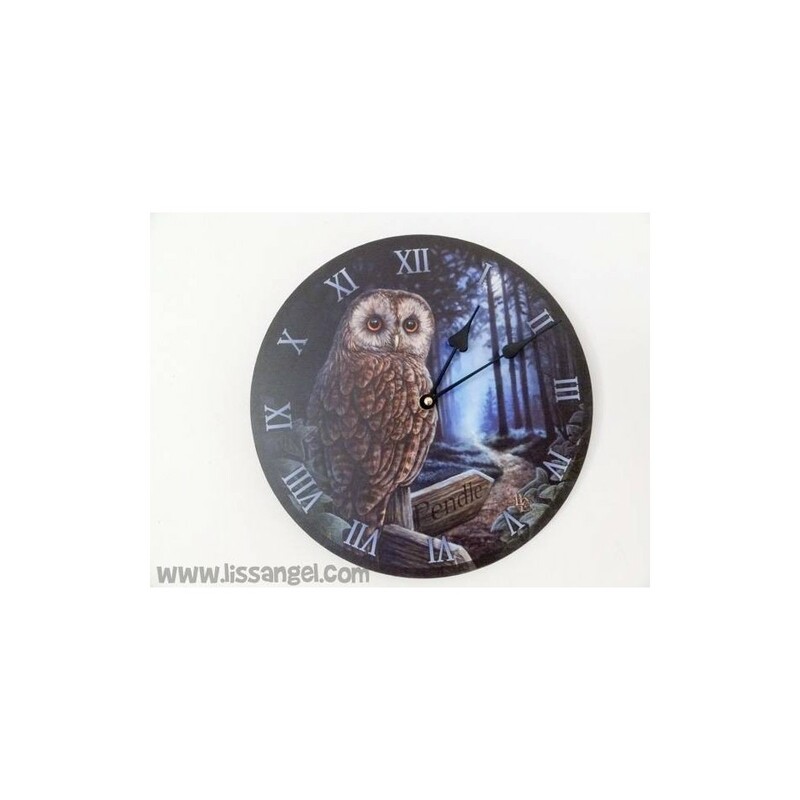 Animal wall clock, ideal for decorating any room in your home with this beautiful image with which you can make your imagination fly. 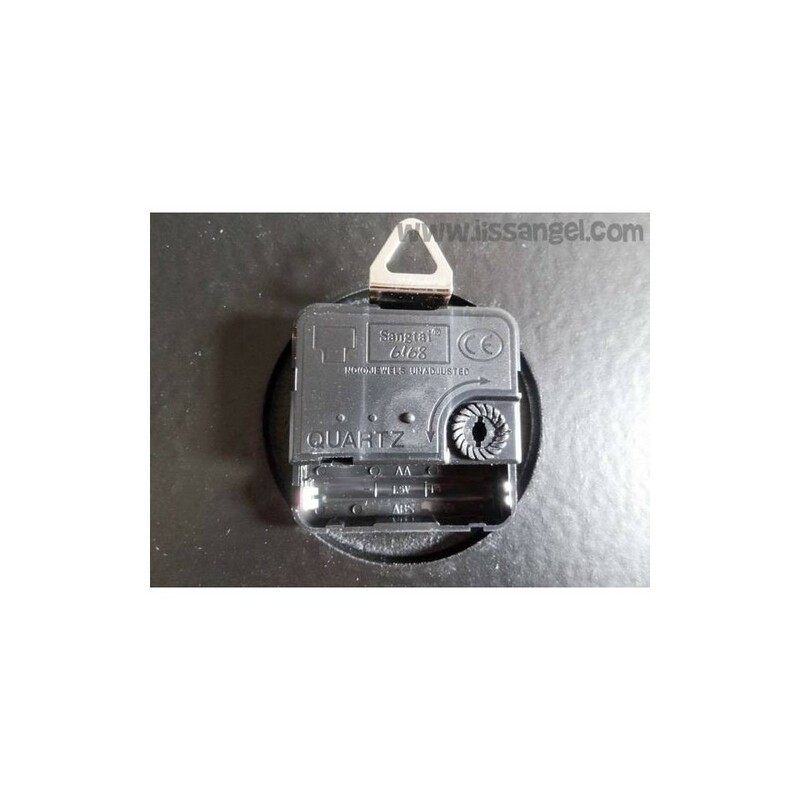 The mechanism works with a "AA" battery not included. A very original gift. 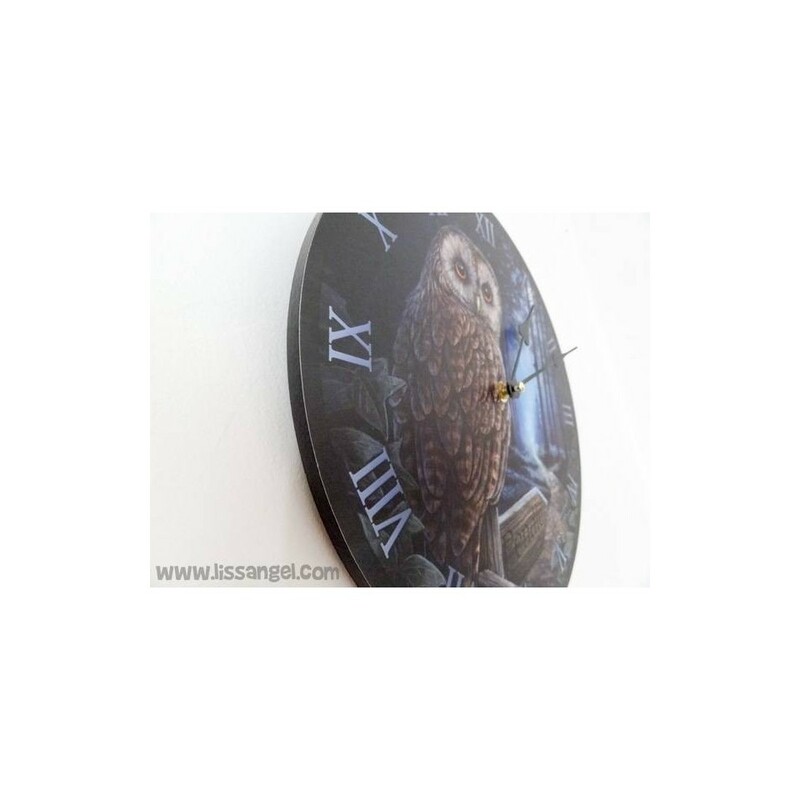 This is a perfect object to decorate your home, a wall clock! In addition to functional, our animal clocks are very colorful for your walls. You have many models to choose from several different animals ... owls, horses, cats ... Which do you prefer? Made of MDF wood. 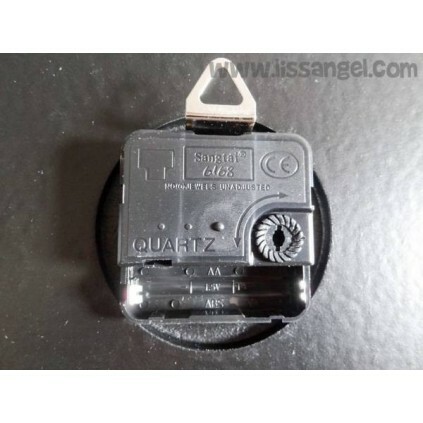 Works with one AA battery (not included). 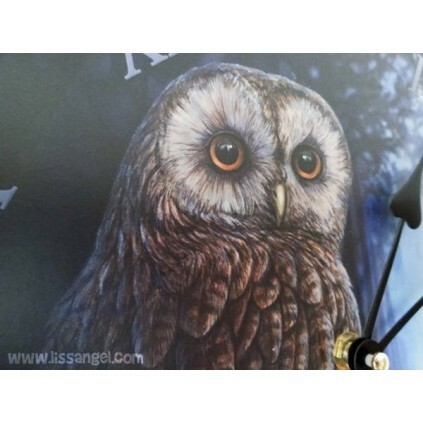 Check out our animals original and decorative wall clocks. In this wall clock, made of MDF, we can see the print of a beautiful pair of wolves resting. Funny wall clock shaped like a cute sleeping fox. The sphere is decorated with beautiful leaves and mushrooms. The nobility of horses, those animals full of goodness with more than 4000 years serving humans and living with them. All this beauty embodied on this wall clock of apache inspiration, with a horse and her foal. 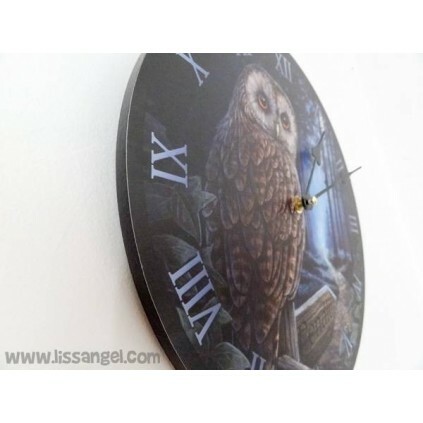 Funny wall clock in the shape of a funny owl. 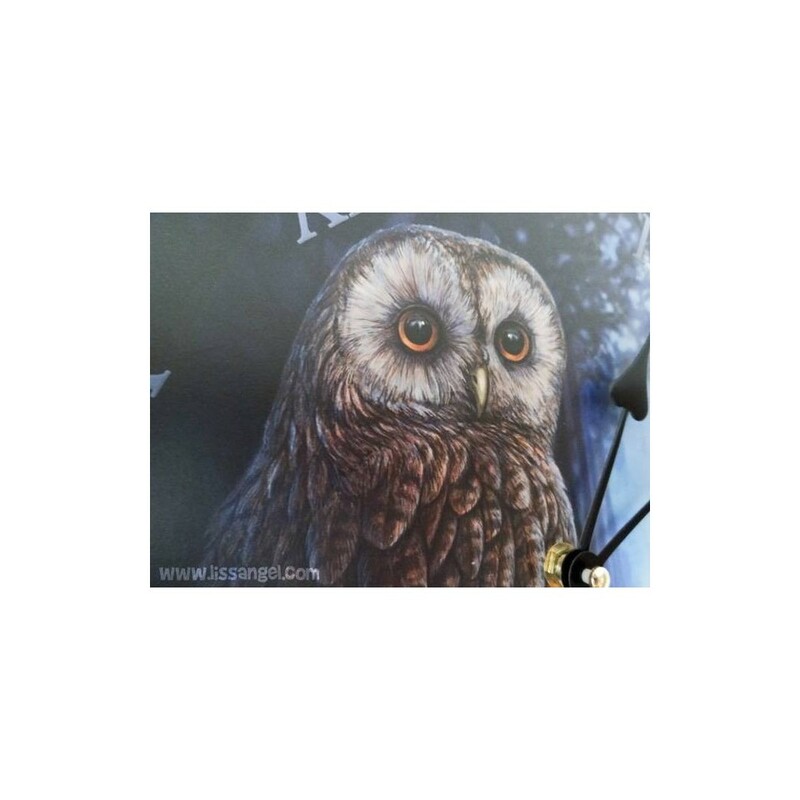 Made of wood MDF, the owl design is printed on paper and glued into the wood.